Guangzhou Goonie: This kind of container will be made again, but hidden in another location. Thanks to all those who found "Shuang Pi Nai"! 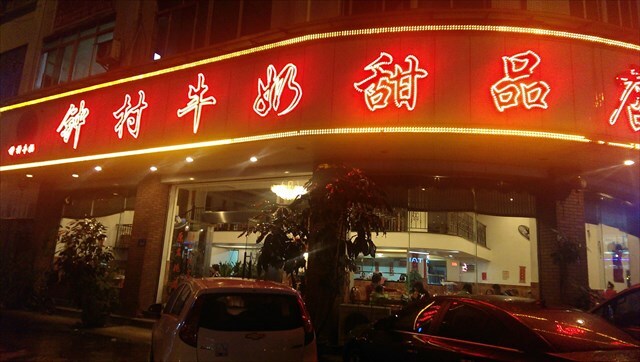 Shunde City is the birthplace of this famous Cantonese dessert, but it can be enjoyed in restaurants all over Guangdong Province. 双皮奶 (Shuang Pi Nai) is made from the milk of a water buffalo and turned into a lightly sweetened custard using a closely guarded secret. Many canteens have given-in to the conveniences of modern day and opted for powdered or pre-made alternatives. It's worth the effort to search out those canteens that still make it from scratch with fresh milk. I'm so in love with this dessert that when I got married, I asked for it to be served instead of the traditional sweet wedding soup that is usually served on a Cantonese wedding menu. My in-laws were not impressed. The restaurant where we had our reception has been in operation for more than 130 years, and this was probably a first for them. I try this dessert everywhere I can, and I am lucky to have this Shuang Pi Nai so close to my house. Also try the Ginger Milk 姜撞奶 (Jiang Zhuang Nai) which is a variation of 双皮奶 but with fresh ginger juice. Jiang Zhuang Nai is slightly more delicate in texture than Shuang Pi Nai. Speaking of sweet desserts, the cache is "the cherry on top". I am pretty proud of this little beauty and I think that you will also think it clever. It is my brainchild and an original as far as I know. I labored for weeks to perfect the design and I'm happy to say that I think it has worked out well. Please tell me what you think! Please observe stealth as I don't want to needlessly make this again. 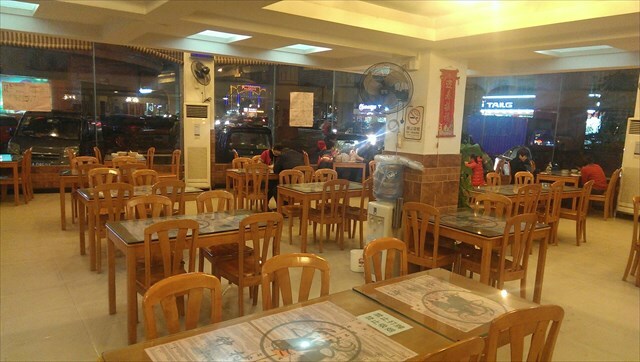 Enjoy "Shuang Pi Nai" after your completion of my other nearby cache "Kung Fu Training Grounds". Do them together for a wonderful day out by yourself or with friends. GEOCACHING IN CHINA NOTE: (applies to all of mainland China as of 2015) The coordinates of the geocache are correct, but the map will not display the "dot" in the right place. The actual location is usually east and south of the dot on the map. This is why it is essential that you: 1) Rely on the compass for exact location (for some reason it is accurate even though the map is not) 2) Read all clues and description carefully.